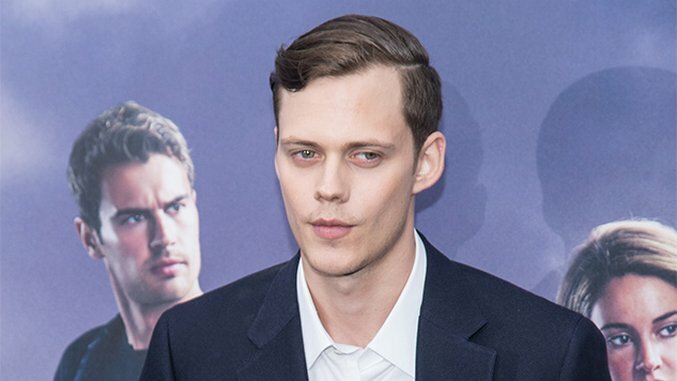 Already terrifying millions as Pennywise the Clown before the forthcoming IT remake has even opened in theaters, Bill Skarsgård seems to possess a VIP pass into adapted Stephen King material. As Variety reports, Skarsgård will now appear in King’s other sleepy Maine town: Hulu’s King anthology series Castle Rock. You can check out the mysterious J.J. Abrams brain blast teaser for the show below. And don’t worry, Skarsgård won’t be reprising his role as Pennywise. Instead he is slated to play “a young man with an unusual legal problem,” which could mean anything in the Stephen King universe. Skarsgård first got his creep on in Netflix’s Hemlock Grove as Roman Godfrey, a blood-obsessed Upir. Between Hemlock and IT, Skarsgård is the perfect candidate for a King residency. He joins André Holland, Melania Lynskey, Jane Levy and Sissy Spacek for the series, which does not yet have a premiere date.